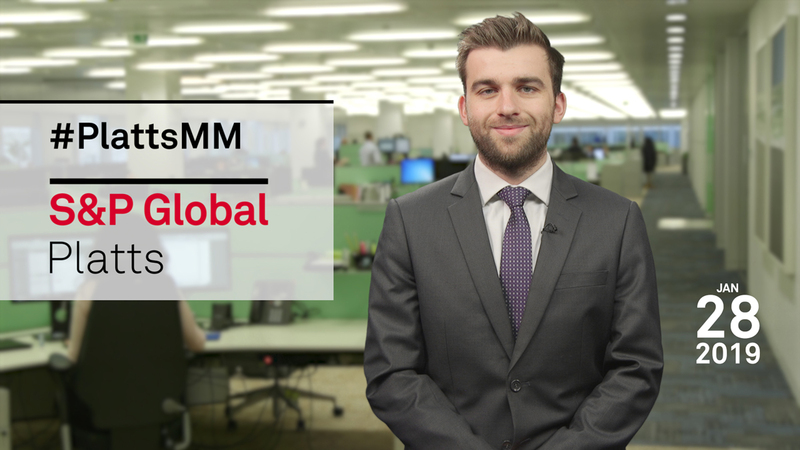 In this week's Market Movers: A Dutch court ruling is due on the Groningen onshore gas field; and the German commission on phasing out coal-fired power stations is set to report. But first, The UK parliament is due to debate Prime Minister Theresa May's so called "Plan B" for the next steps in the Brexit process on Tuesday. The UK polymer industry has started stockpiling to mitigate currency and logistical risks associated with a no-deal Brexit. A no-deal Brexit could benefit the UK's sole sugar refiner, owned by ASR Group, at the expense of continental beet producers. In biofuels no deal could mean the UK, a net importer, is no longer subject to any of the EU's import and anti-dumping duties and vulnerable to a flood of imports. This week's social media question: How would a no-deal Brexit scenario affect the UK commodity markets? Tweet us your thoughts using the hashtag #PlattsMM. Meanwhile, the Netherlands' highest administrative court is expected to announce its ruling on appeals for production at the giant onshore Groningen gas field to be halted with immediate effect due to the risk of earthquakes. And finally, across the border in Germany a commission is set to submit its recommendations on phasing out coal-fired power to the government on Friday. Join our conversations on Twitter - use #PlattsMM and connect with us. Join our respected editors and analysts as they share insights on the latest oil and energy industry developments, market outlooks and in-depth analysis of major trends. In this week's Platts Market Movers: A Dutch court ruling is due on the Groningen onshore gas field; and the German commission on phasing out coal-fired power stations is set to report. But first: the UK parliament is due to debate Prime Minister Theresa May's so called "Plan B&rdquo; for the next steps in the Brexit process on Tuesday. Parliament will also debate proposals from lawmakers, including postponing the UK's scheduled date for leaving the EU or a second referendum. However, should parliament fail to agree a course of action, this would increase the possibility of the UK crashing out of the EU without a deal on March 29th. The UK polymer industry has started stockpiling to mitigate currency and logistical risks associated with a no-deal Brexit. Market participants said the widely expected fall in the pound if there is no deal would raise costs significantly for the polymer industry in the short term because the UK is a net importer. However, the recent rise in the pound shows the currency markets think the possibility of no deal is diminishing. The recycled PET industry seems to be sharing that view and carrying on as normal. PET is used to make soft-drinks bottles. As for the sugar that goes into those soft drinks, a no-deal Brexit could benefit the UK's sole refiner, owned by ASR Group, at the expense of continental beet sugar producers. UK sugar production over the past five years has ranged between 900,000 and 1.45 million metric tons. Consumption stands at around 2 million mt, meaning the UK needs to import sugar. WTO trade terms would mean the price of imported white sugar from the EU-27 would double and become uncompetitive. As you can see from the chart, France alone exported about 355,000 metric tons of sugar to the UK in 2017-18. On the other hand, ASR would benefit from any end to EU tariffs on imported raw sugar from countries such as Brazil and Thailand. In biofuels, no deal could mean the UK, a net importer, is no longer subject to any of the EU's import and anti-dumping duties and vulnerable to a flood of imports. This could hit domestic producers hard. Challenging market conditions have already resulted in the shutdown of the UK's two major ethanol producers and a no-deal Brexit could make any potential restart unlikely. In continental Europe, the Netherlands' highest administrative court, the Council of State, is expected to announce its ruling on appeals for production at the giant onshore Groningen gas field to be halted with immediate effect due to the risk of earthquakes. Groningen has a quota to produce 19.4 billion cubic meters in the current gas year to September 2019. It seems unlikely the court will suspend production at the height of winter, but the court will hear other objections in April. And finally, across the border in Germany, a commission is set to submit its recommendations on phasing out coal-fired power to the government on Friday. Expect more leaks and speculation following a marathon session last Friday before the report is published. Long-term, over half of current coal output of over 200 terawatt-hours a year will need to be replaced by 2030 to meet climate-change targets. The commission's recommendations will form the basis for Germany's 2030 climate-change law. Thanks for kicking off your Monday with us, and have a great week ahead.